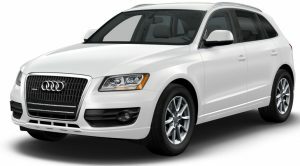 You are browsing the Blog for Audi Q5 Archives - Audi How To. 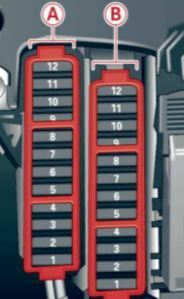 The Audi Q5 1st generation 8R (2009 – 2017) have 3 fuse boxes location. 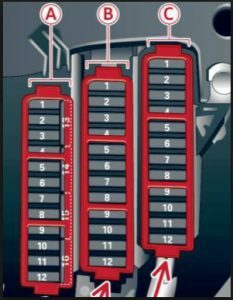 Two on dashboard passenger and driver side and one in the luggage compartment – Scroll down to see how to access them and the fuses list. 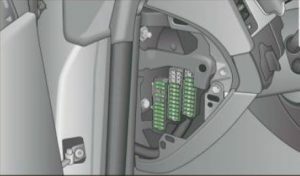 To access the fuse box located on the driver’s side of the dashboard, open the driver’s door and remove the side dash cover, pushing it. 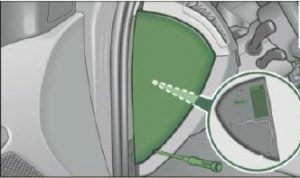 To access the fuse box located on the passenger’s side of the dashboard, you must have the passenger’s door open and remove the side dash cover. 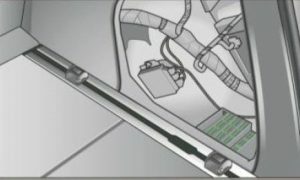 To access the fuse box located on the luggage compartment you should remove the right side trunk trim and open the fuse cover. 2009, 2010, 2011, 2012, 2013, 2014, 2015, 2016 and 2017 – Q5 1st generation 8R Petrol (2.0 and 3.0 TFSI, Hybrid Quattro 2.0) and Diesel (2.0 and 3.0 TDI, SQ5 3.0 TDI) Engines. 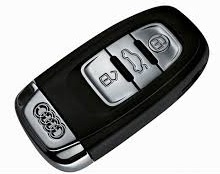 This tutorial explains how to replace the key fob battery in Audi A3 (2003 – 2013), Audi A4 (2008 – 2016), Audi A5 (2007 – 2016), Audi A6 (2004 – 2011), Audi S3 (2006 – 2013), Audi S4 (2009 – 2015), Audi S5 (2007 – 2012), Audi S6 (2006 – 2011), Audi RS3 (2011-2012), Audi RS4 (2012-2015), Audi RS6 (2008-2010), Audi Q5 (2008 – 2017) and Audi Q7 (2005-2015) with key fob pictured below (smart key). Step 1: On the back of the key press the button (marked A) and at the same time pull the key blade out of the fob. 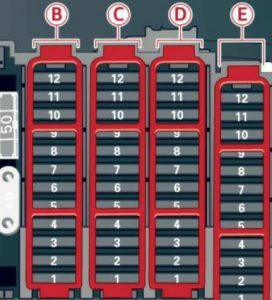 Step 2: On the front side of the key press the button (markerd arrow and B) and at the same time pull battery. Step 3: You’ll now see the battery. 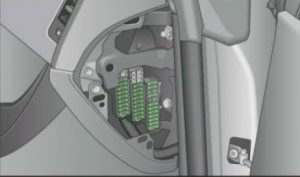 Remove the old battery, making note of their orientation, and replace with new one. Step 4: Re-install battery, and after it the key blade. Battery orientation is with the (+) side down.